Visitors can take flights from the main cities in China to Hangzhou Xiaoshan International Airport, Shanghai Hongqiao International Airport, or Shanghai Pudong International Airport and take the WIC special car to the conference site at the West Gate scenic area of Wuzhen. 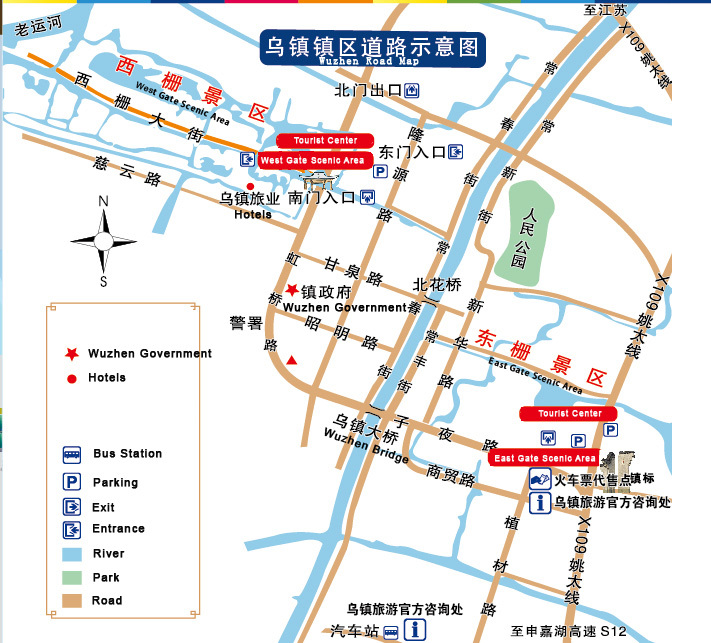 Visitors can take trains from the railway stations of the main cities in China to Tongxiang High-speed Railway Station, Shanghai Hongqiao Railway Station, or Hangzhou East Railway Station, and take the WIC special car to the conference site at the West Gate scenic area of Wuzhen. Transportation in Wuzhen is mainly by manpower tricycle and taxi. People can also rent shared bikes and in the scenic areas tourists can choose walking or hand-cranked boats for sight-seeing.